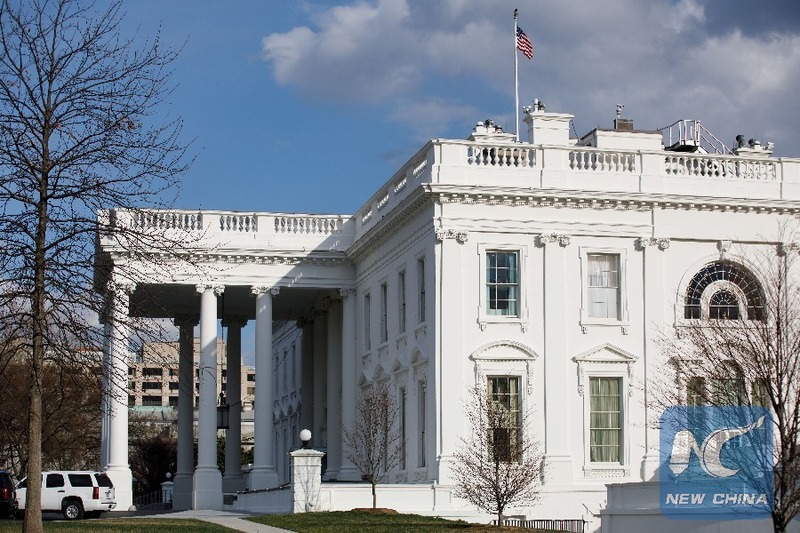 BEIJING, April 2 (Xinhua) -- Recent global spotlight is on a U.S. memorandum planning to slap tariffs on China, which rattles the world as it could trigger a domino effect of protectionism and even a trade war. 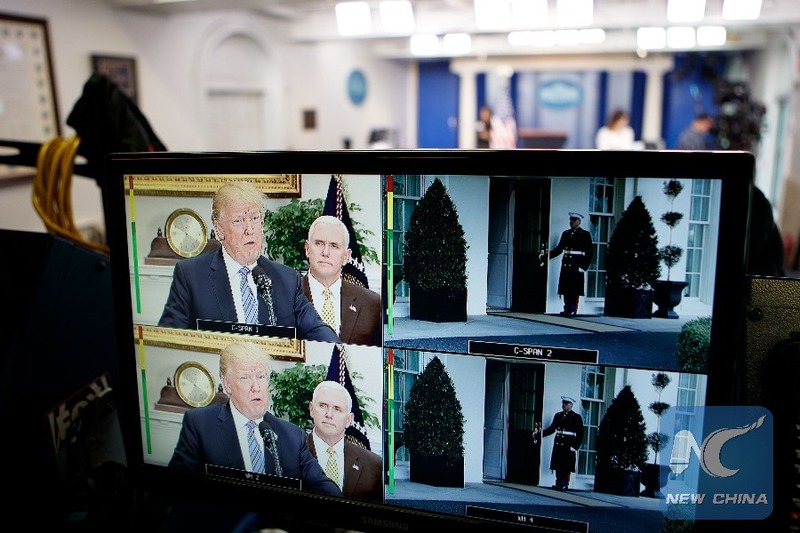 The memorandum, signed by U.S. President Donald Trump last month despite opposition from business and industry communities at home, could impose tariffs on up to 60 billion U.S. dollars of Chinese imports and restrictions on Chinese investment. The unwise move, allegedly aiming to safeguard America's national interests, protect home industry and cut trade deficit with China, only risks making America economically impaired, rather than "great again." Despite a seemingly hefty trade deficit with China, U.S. exports have grown at a relatively higher rate than imports in recent years. 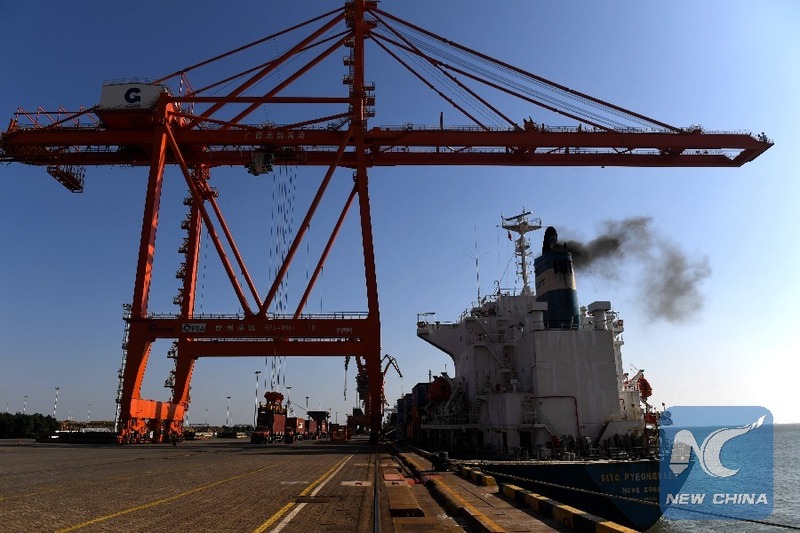 According to the U.S.-China Economic and Security Review Commission, in the first eight months of last year, U.S. exports to China reached 80.2 billion dollars, an increase of 15 percent year-on-year. The growth rate nearly doubles that of imports from China, at 8.3 percent. Compared with data of 2001, the year when China joined the World Trade Organization, U.S. exports experienced a nearly sixfold increase by the end of last year, while its imports from China grew roughly fourfold. If looking at trade in services, the other category besides goods, the United States enjoys a trade surplus with China, peaking at 37 billion dollars in 2016, driven by a surge in Chinese outbound tourism. These are just some trade numbers. In their joint ventures with China, U.S. companies with multinational production chains such as Apple Inc. and General Motors usually get the biggest slice of cake. China is only a link in the global supply chain, manufacturing and assembling parts designed by upstream U.S. teams. The fact that the calculation of trade data attributes most of the value to Chinese exports is neither correct nor fair. On the individual level, ordinary American consumers have more choices for good quality products at better prices thanks to imports from China. These imports include not only final products that China has comparative advantages in making, but also intermediate Chinese goods a wide spectrum of U.S. industries use to produce more competitive products and provide better community services in healthcare, education and emergency response. Furthermore, the bilateral economic ties have supported roughly 2.6 million U.S. jobs, among which about 104,000 jobs were created by Chinese investment, said the U.S.-China Business Council. Trump's planned tariffs are not only going to hamper the U.S. economic well-being and continued progress, and burden its people with higher costs of living, but also pose a grave threat to the current global trading system. Washington seems to have failed to keep a cool head when it is busy fanning the so-called "economic aggression" from China. It should realize that the only right option is to protect the reciprocal economic and trade relations with China and avoid a no-win situation.